Major names in the Homeric tradition have some pretty opaque etymological origins. But folk etymologies (really any ‘false’ etymologies that are important to the reception of myths in performance) are viable objects of study both for what they tell us about Greek thoughts on language and for what they tell us about the life of myths outside our extant poems. Some of these are ridiculous–as in “lipless Achilles” or the story of an Odysseus who was born on the road in the rain. But they all tell us something about how audiences responded to traditional tales. “Ill-passing” [Dusparis] someone named for evil, for example when Paris was born. A bad-nickname. Also, a place that is difficult to pass through [duspariton], unpassable. Xenophon uses it this way in the Anabasis. 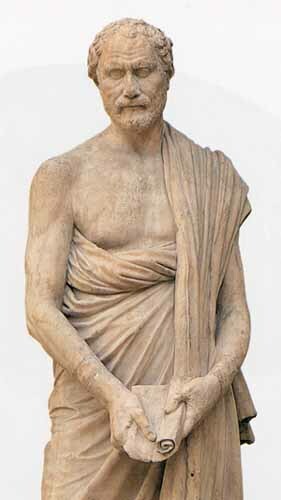 Δύσπαρι (Γ 39)· ἐπὶ κακῷ ὠνομασμένε, οἷον ζήσας ὡς Πάρις, δυσώνυμε. καὶ δυσπάριτον χωρίον· τὸ ἄβατον. οὕτως Ξενοφῶν ἐν τῇ ᾿Αναβάσει (4, 1, 25). Πάρις, Πάριδος, ὁ υἱὸς ῾Εκάβης ἐκλήθη ᾿Αλέξανδρος, ὁ καὶ Πάρις. παρὰ τὸ πῦρ καὶ τὴν ῎Ιδην. ἐν ὁράματι γὰρ ἡ ῾Εκάβη ἐνόμισε δάλον τίκτειν, ὅστις κατέφλεγε τὴν πόλιν, καὶ τὴν ἐν τῇ ῎Ιδη ὕλην· καὶ τούτου χάριν τεχθέντα ἐν τῇ ῎Ιδῃ ἀπέῤῥιψεν. Πάρις: Παρὰ τὸ παριέναι τὸν μόρον, τουτέστιν ἐκφυγεῖν τὸν θάνατον· ἢ παρὰ τὴν πήραν, ὃ σημαίνει τὸ μαρσίπιον· ἀπὸ τοῦ ἐν τῇ ποιμαντικῇ πήρᾳ ἀνατραφῆναι. What is up with all the variant etymologies? It seems that the name Paris is not from Greek origins. As with other famous names, once the origins of a word become obscure, later audiences re-analyze them in some fantastic ways. 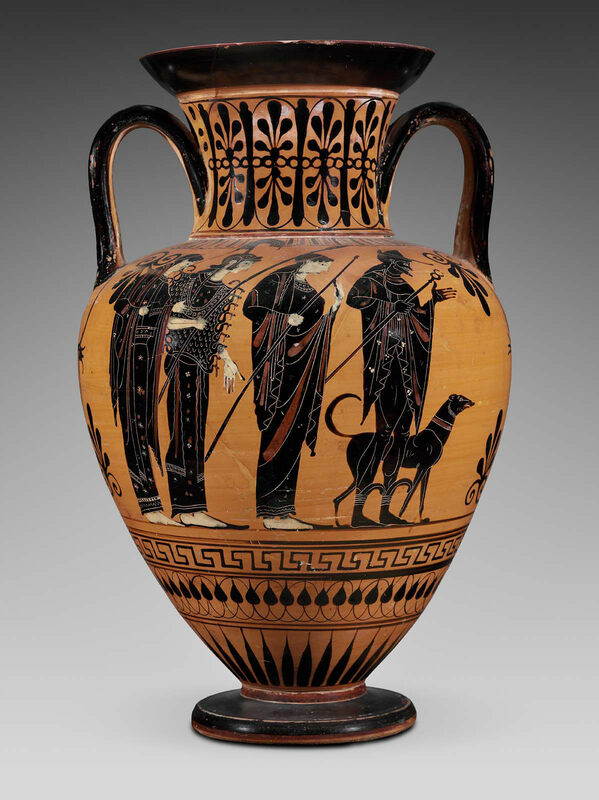 A Judgment of Paris Vase at the MFA.